I saw the magpies in the distance this morning and I thought they tried to chase away a bird of prey. 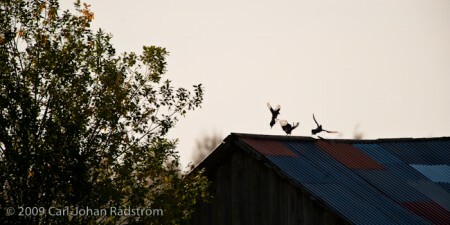 But when I got closer I saw these magpies jump and fly back and forth on the roof. It’s hard to tell if they are playing or fighting.